Well, the day started out nicely…. bit of a sleep-in, cooked breaky & out to the studio. Am planning to do a pit firing tomorrow, so turned the kiln on to do a low bisque firing and began cleaning out the pit: was a bit weedy & the brick wall that I use to alter the size of the pit depending on the amount of work to be fired, had collapsed. BUT, a couple of hours later the clouds started rolling in, big thick heavy black clouds. The thunder began as a distant grumble, and slowly but surely grew to a rumble and then a roar accompanied by flashes of lightning. Suddenly the downpour began, mixed with hail the size of marbles. 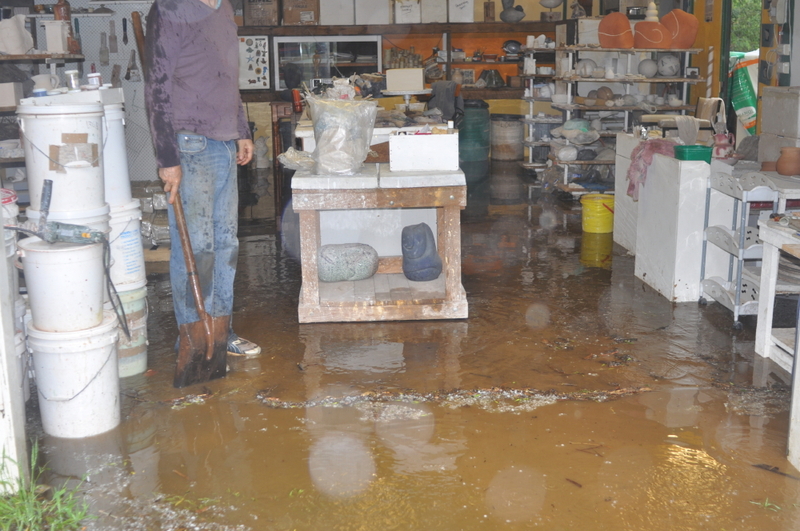 Lasting for about 15-20 minutes the driveway turned into a voracious stream of water, hell bent on flooding my studio. It succeeded. But mother nature was not yet sated. About 20 minutes later another storm rolled through producing even bigger hail (the vegie garden is looking sorry). 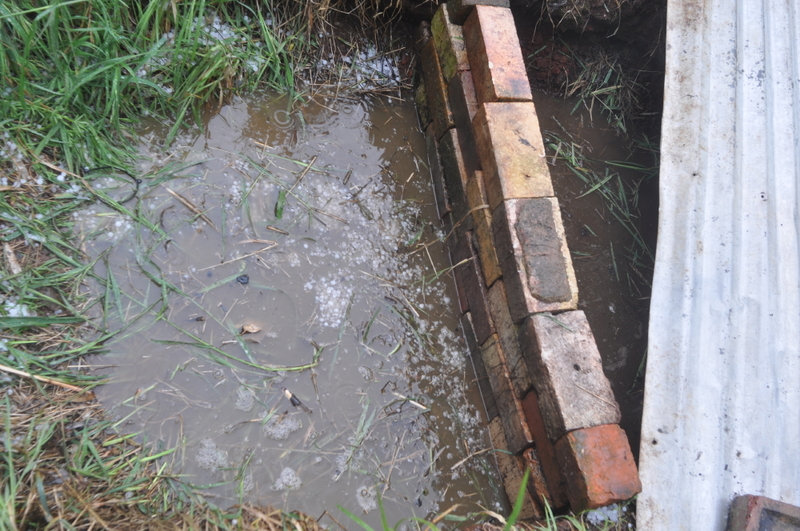 In order to drain the water from my studio I had to open the side door. And what is a few meters outside my side studio door? The pit! Weeded and looking all pristine for tomorrows pit firing it soon assumed the qualities of a swimming pool. Even if the water drains away the ground will still be extremely wet tomorrow. And tomorrow’s forecast? A shower or two during the day, possibly heavy in the afternoon. Chance of a thunderstorm…. ho hum!! And the following video exposes the culprit behind my angst… but here is no such thing as global warming!! 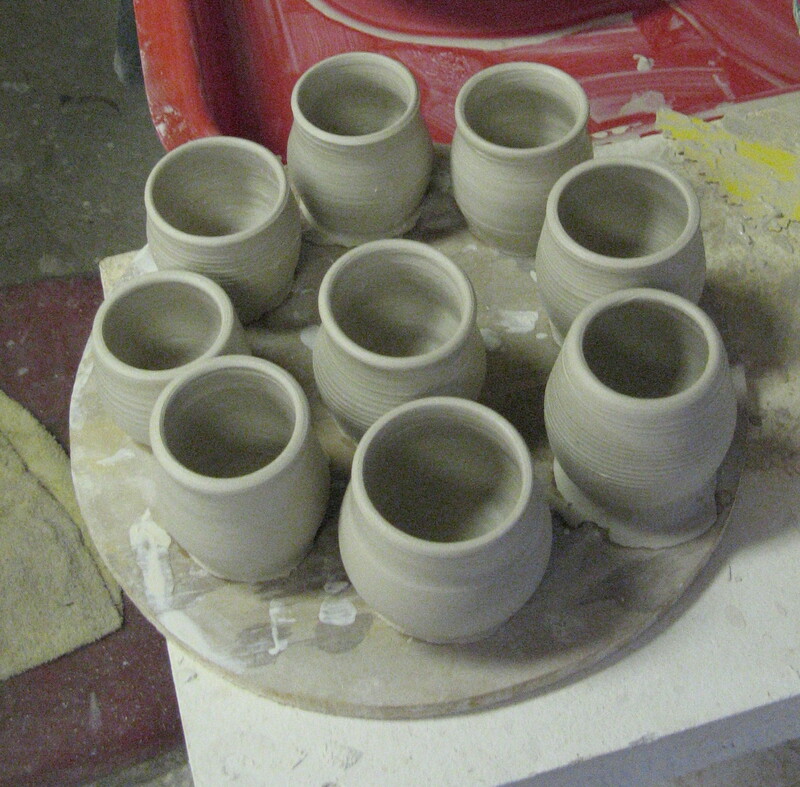 The finished teabowls waiting to be turned/trimmed… tomorrows task! !